The headlines speak for themselves. This is the largest decline since March 2003. The decline in payrolls was steeper than the 60,000 decrease that had been expected. Job losses thus have totaled 232,000 since the New Year, an average of 77,000 lost jobs per month. Unemployment rate jumps to 5.1%. 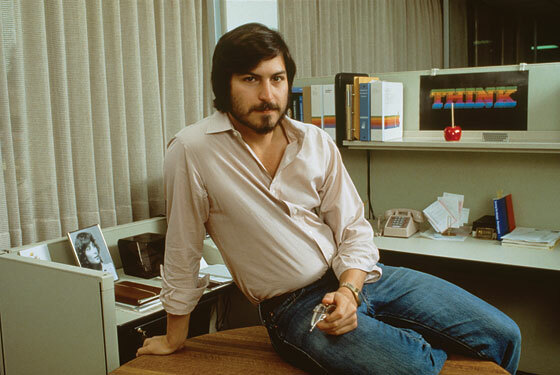 I probably shouldn’t admit to this… but it only just occurred to me the significance of the Steve Jobs pictures. lol. D’oh! Yeah, that’s been my running joke. I love that picture. Look at the saucy glint in his eye, the shirt unbuttoned, the languid pose: it’s clearly early 80s, big pimpin Steve-o.